Sandinista Revolution Day, also known as FSLN Revolution Day or Liberation Day, is one of the public holidays in Nicaragua. 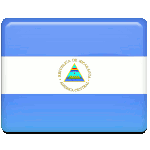 It commemorates the defeat of the Somoza dictatorship in the Nicaraguan Revolution. The holiday is celebrated on July 19. The Somoza family ruled Nicaragua as a family dictatorship for over three decades. In 1936, Anastasio Somoza García forced President Juan Bautista Sacasa to resign. Somoza was officially inaugurated on January 1, 1937. The opposition against the Somoza dictatorship began to rise in the early 1960s. In 1961, various oppositional organizations formed the Sandinista National Liberation Front (FSLN). It was named after Augusto César Sandino, a Nicaraguan revolutionary who led a rebellion against the United States occupation of Nicaragua in the late 1920s and early 1930s. The revolution led by the FSLN is now known as the Sandinista Revolution or the Nicaraguan Revolution. In the 1970s, the FSLN launched a military campaign against the regime. Finally, President Anastasio Somoza Debayle resigned on July 17, 1979. Two days later, the FSLN army entered the capital city of Managua. The anniversary of the establishment of the new Sandinista regime was proclaimed as a public holiday in Nicaragua.